Pulsating and high octane football will be on full display at the Nike Football Training Centre in Pimville, Soweto from 25th to 30th March. Furthermore resilient soccer players of fine pedigree from all over the world will lock horns on the field for their respective clubs during the 11th edition of the prestigious Future Champions Gauteng International Tournament. At stake is the coveted trophy that has eluded many local teams in the past years against their European counterparts. Organisers are urging fans to come in droves to support these future stars and have dubbed this tournament a continued celebration of excellence in the Under-17 age group as teams from all over the world vie for this fashionable trophy. 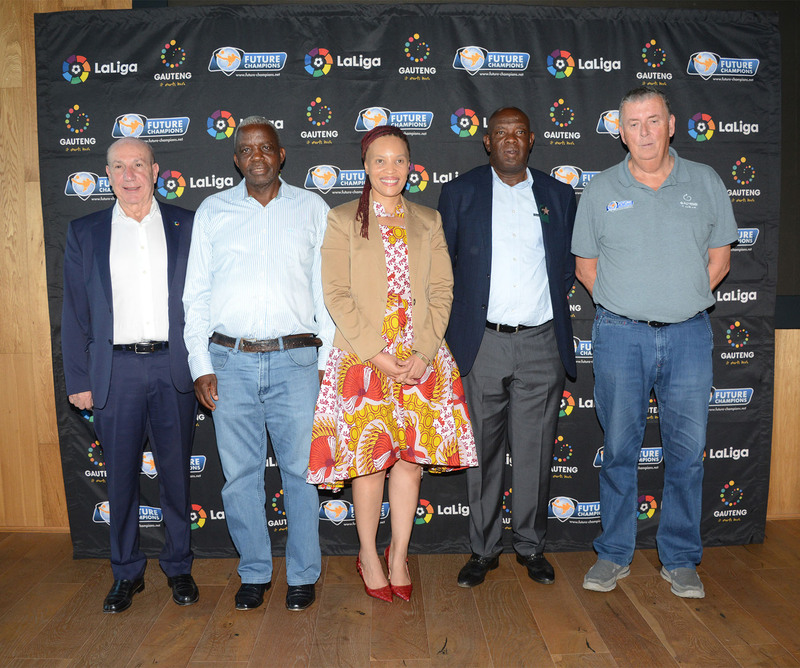 This prestigious tourney is a brainchild of Global Sports International, in partnership with the Gauteng Department of Sport, Arts, Culture and Recreation. The tournament will feature four local sides and eight teams from four different continents around the world. The final two overseas entrants are Beijing Sinobo Guoan FC (China) and a Nigeria Professional Football League (NPFL) All-Stars side. The remaining eight sides will play-off to determine positions five to 12. For the second year running, the Future Champions Gauteng will also feature a girls’ competition and the finalists, SAFA Johannesburg and Dr BW Vilakazi Secondary School, will play at the International Tournament later this month. During the launch, Philasande Muvevi, Director- Competitive Sport in the Province told the packed audience that her department promotes the tournament to attract the best . She also highlighted that her department wants to show the world what this province can offer. The Gauteng Department of Education’s Acting Chief Education Specialist: School Sport and Extra Curricular Coordination, Marius Venter believes the Future Champions Gauteng International Tournament provides the right kind of platform for youngsters on and off the pitch. “Football is obviously the focus of the Future Champions Gauteng campaign, but beyond that, the various education programmes that have been run alongside the competition has given our young stars vital life-skills training that should prove invaluable to them in the future. We applaud the continued success of the campaign and look forward to helping many more youngsters in the future,” said Venter. 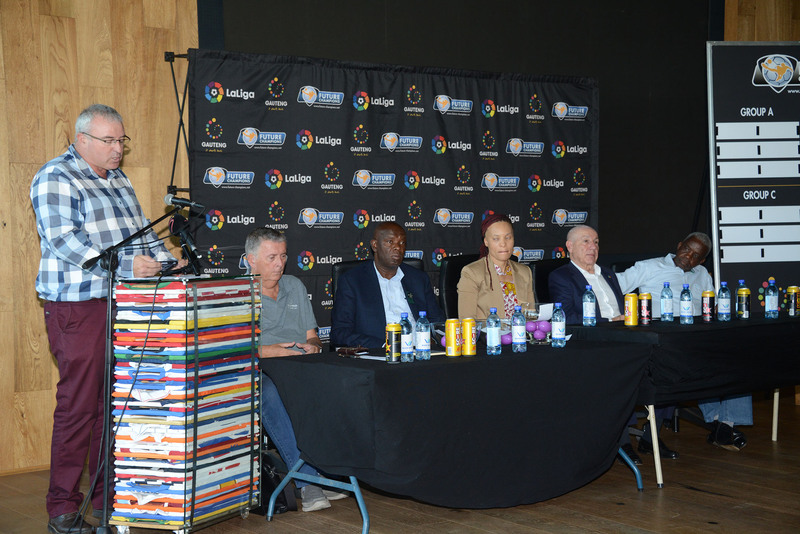 President of SAFA Gauteng, William Mooka, pointed out that the importance of the Future Champions Gauteng International Tournament cannot be underestimated. “We have always encouraged our teams to broaden their football education and for any young player it is important to expose them to contrasting styles and ways of playing the game. For all teams that compete at the Future Champions Gauteng International Tournament, this will be the case. We are excited to once again see the women’s section of the tournament and hope that within this year’s group, there are some future Banyana Banyana stars,” He said. “It is definitely a privilege for LaLiga to support the Future Players project for the fourth year. We believe that this amazing experience will support their football knowledge and also increase their chances to turn into professional.” said LaLiga’s Africa Director, Antonio Barradas. This year’s Future Champions Gauteng International Tournament will also be supported by Clinix Health, Rand Water, Lovelife, Sedgars Sport and Score Energy Drink. Entrance to the matches is FREE!